Shelters are loud, smelly, unfamiliar places, full of unfamiliar people, and cats that live in shelters suffer from high levels of stress. Scientists recently found that one of the reasons cats like boxes is because boxes make them feel safe. Now, some scientists believe that giving shelter cats boxes will reduce their stress, particularly if they’re new arrivals. According to Phys.org, the authors of a study that was published in Applied Animal Behaviour Science specifically looked at new arrivals in a shelter in the Netherlands. They chose shelter cats because cats’ stress levels are quite high. What they found is that boxes did, indeed, help to reduce stress in shelter cats in the short term. In the study, ten cats had boxes, and nine did not. At the end of their third day of observation, the cats with boxes had adapted to their new environment far better than the cats that didn’t have boxes. Why is this? 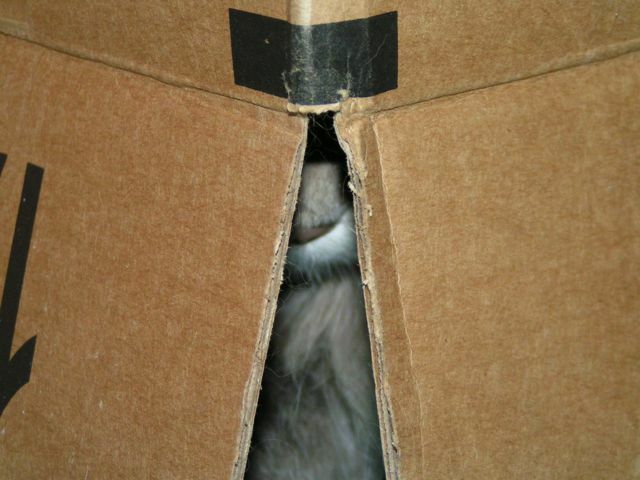 According to Wired, which put together the results of a whole bunch of studies on why cats like boxes, hiding is a behavioral strategy. Wired quotes one of the authors of the study mentioned above, who went on to say that hiding helps cats cope with stressors in their environment. Cats also have issues with conflict resolution, as Wired notes. So when they have the opportunity to engage in conflict or run away, they’re more likely to run away. If they can hide, then so much the better. Cats like to bluster, and they prefer to make their enemy back down without ever “firing a shot,” as it were. When that doesn’t work, they’ll try and run. In the wild, they often don’t fight unless they absolutely have to. The implications for shelters are outstanding. Good shelters want to make their environments as stress-free as possible. 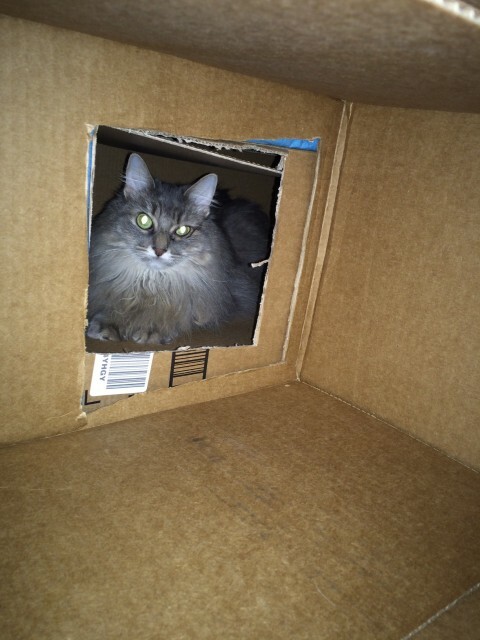 For some cats, especially the more fearful, perhaps providing a box for the cat to hide in can help them adjust better, and behave better, thus raising their chances of early adoption. Obviously, simply providing a box isn’t the whole solution. The whole solution is far more complex. But it’s a simple, low-cost way for shelters to temporarily address high stress levels in their cats.